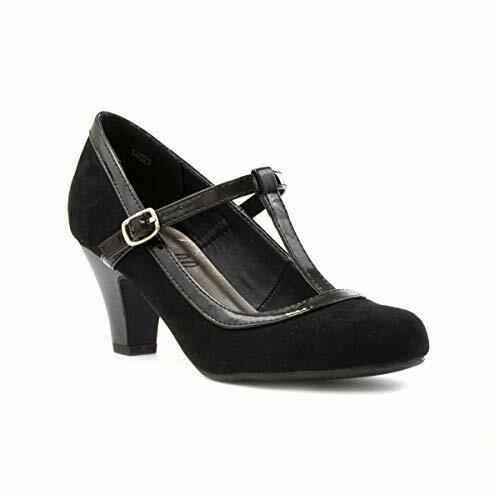 Invest in a pair of womens black faux suede t bar closed court shoes. These shoes are sure to become your new go-to pair for everything from work to evening outs. Featuring faux suede effect upper with round toe, a t bar strap with buckle fastening that helps to keep feet comfortably positioned and patent trim edges, metallic insole and a medium heel just the right height for all day wear.